Why Can't I Find My Filter at the Hardware Store? Home » FAQs » Why Can’t I Find My Filter at the Hardware Store? Why Can’t I Find My Filter at the Hardware Store? Some furnaces and air conditioners recommend using an OEM filter designed specifically for the needs of the unit. OEM filters aren’t available just anywhere, which is why HVAC.com offers quality OEM filters and other products manufactured by trusted brands in the HVAC industry. Disposable filters are typically what you find at a hardware store. They are typically a lower quality product and don’t offer the same filtration and performance as a manufacturer’s original filter. Some units require a specific filter, which might be hard to find at your local hardware store. Disposable, low-efficiency filters are cheaper but will have to be replaced more often than a filter that was designed to meet the specifications of your current heating and cooling system. If you notice reduced indoor air quality in your home, it may be due to a cheap disposable filter. 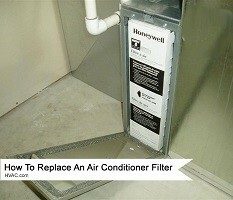 A licensed dealer will offer the best replacement filter for your heating and cooling system. They carry OEM, Original Equipment Manufacturer, filters. A filter made by the same manufacturer as your heating or air conditioning system is designed specifically for your unit and its performance. Several benefits are gained when you install an OEM filter in your system. 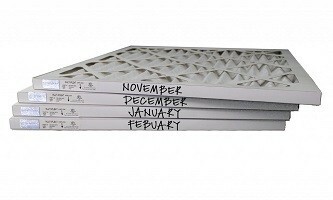 You will experience greater airflow and lengthen the life of your equipment when the filter fits perfectly. Plus, if you are confused about which filter you need for your furnace or air conditioner, you can speak directly to a knowledgeable professional about which filter you need. You can purchase filters online, but you need to make sure the website offers high-quality filters and not just aftermarket filters. 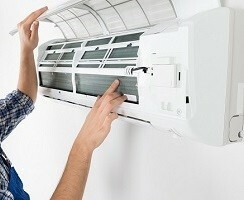 At HVAC.com, we only offer the best with true OEM filters and components for our customer’s heating and cooling systems. We are your one-stop-shop for all your heating, cooling, and indoor air quality needs. Not only do we sell high-quality products, but we offer helpful information about any heating and cooling related topics for homeowners. We have owner’s manuals, specification manuals, installation manuals, parts manuals, and warranty manuals for a variety of heating, cooling, and indoor air quality products. Our expert staff has assembled HVAC videos for some topics, from equipment maintenance to increasing indoor air quality. You can even locate a licensed, qualified HVAC contractor using our online contractor directory. What happens if the air filters are not changed when the indicator light comes on?